Former Minister of Labour, Dr. Nanda Gopaul. Few people in Guyana’s post-war history have had a more distinguished and yes, productive public life than Dr. Nanda Kishore Gopaul. N.K. or Nanda as his friends call him is a likeable chap, not only because he is a master at cultivating enduring personal relationships, but also because he is the genuine article – friend, colleague, comrade. The man now stands at the crossroads of his own career and our struggling political history. I take this opportunity to thank Dr. Gopaul for his service to organized labour, government, and the small man. I also would like to pose a few questions and expect some direct answers. 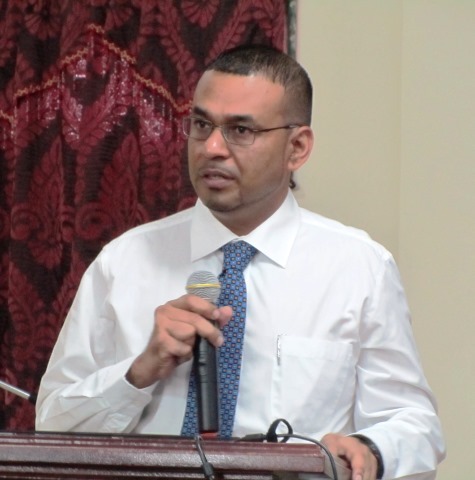 We understand from government sources that Dr. Gopaul is currently in negotiation with the government of Guyana to assume executive leadership of a State development project in lands along Homestretch Avenue. While government officials have basically acknowledged these negotiations, Dr. Gopaul stated that he cannot confirm or deny the story. I am a little disappointed with this response, not because of the need for information, but the because of the dry, corporate type of language in which the message was constructed. The development of that piece of prime real estate is of importance to Georgetown, and there is no need for us to sit around in a cloud of uncertainty. More than that, Dr. Gopaul should from the beginning, that is to say – now, commence his new undertaking with openness. One of the decidedly interesting things about Guyana is the deep, everyday speculation among our people about what key personalities are up to, who is in and who is out, who broke up and who is forming new alliances, and the list can go on. It is in this light that many are speculating what has happened or may happen to the tight relationship between Dr. Gopaul and Bharrat Jagdeo, the former president and now Opposition Leader. The significance of the question goes beyond the two personalities involved. It is rather about the expectations of political loyalty versus the demands of public service. I would hate to see that N.K. Gopaul is accused of ‘selling-out’. At the same time, one would expect that Dr. Gopaul would not walk away from his role in the Jagdeo-led presidency. The point is, you see, is that Guyanese need to be freed of the all too usual narratives of betrayal, even when, if not especially when those narratives are reciprocal among the grieving parties. I do not like this following expression, but it is ‘time to move forward’. 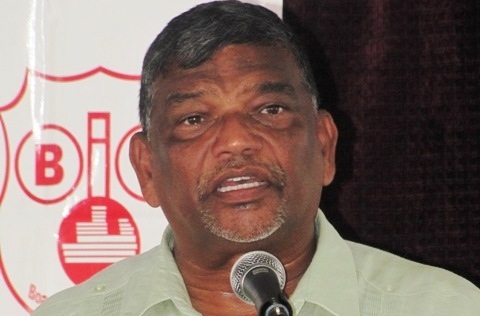 The ‘plot’ thickens on account of rumours that former Minister Robert M. Persaud may also be up for a stint with the APNU+AFC administration. Robert Persaud was by any measure one of the most liked and competent Ministers of the PPP/C and his ‘sabbatical’ took everyone by surprise. Yet, in the spirit of glasnost, we must recognize that he is his own man. If he assumes an office within the APNU+AFC administration it would be a major shift in the balance of power in Georgetown. The dialectic of history with all its contradictions and promises will start on a new course and only time will tell which way the wind is really blowing. Is it possible that they may be Trojan horses of the big rat? Nosey Parker Piper! Que Sera sera! Many years ago when I was a young teacher in Guyana, the time when one was afraid to speak out freely fearing dismissal or victimisation and or political discrimination in one form or the other, many teachers in Berbice formed the short lived Democratic Teachers Union. Mr Feroze Mohammed, the PPP representative for education then, advised us in Essequibo Islands not to go down that route. Instead, he encouraged us to get in the recognised GTU and fight for change from within. We followed that route and in a small way, we did achieve some progress despite the odds. In fact, we did more for the community during our short period than what those teachers (soup drinkers) who were affiliated to the PNC did for more than twenty years. Should Mr Gopaul and or Mr Persaud do take up high placed position, this would not be betrayal. They would be working from within and do what they think is right for the people of the country. Obviously, they should not be dictated to what they must or must not do. They must work according to a plan which would be in the people’s interest. This does not mean that they have migrated from the PPP into the arms of the APNU/AFC. They could still be active members of the PPP as they have that right of political association. Yes, the APNU/AFC would take the credit for any progress made but I agree with the PIPER that this would be a major shift in the balance of power in Georgetown. Yes, you are correct. We should be putting competent people to hold posts based on their qualifications and not on their political affiliations. Mr.Piper let the democratic Holy Alliance rule Guyana. APNU with AFC is what Guyanese wanted. A change is always good for the country. Good or bad let us give them a chance more time. At least the ministers are getting good salary. Economy, business and development issues can be dealt with in the next term. Don’t give the wise men ideas them know what they are doing. It is easy to criticize when you are in the opposition. Now let the team fix the problems.